The Bennington Stone sofa is perfect o sit and relax on. 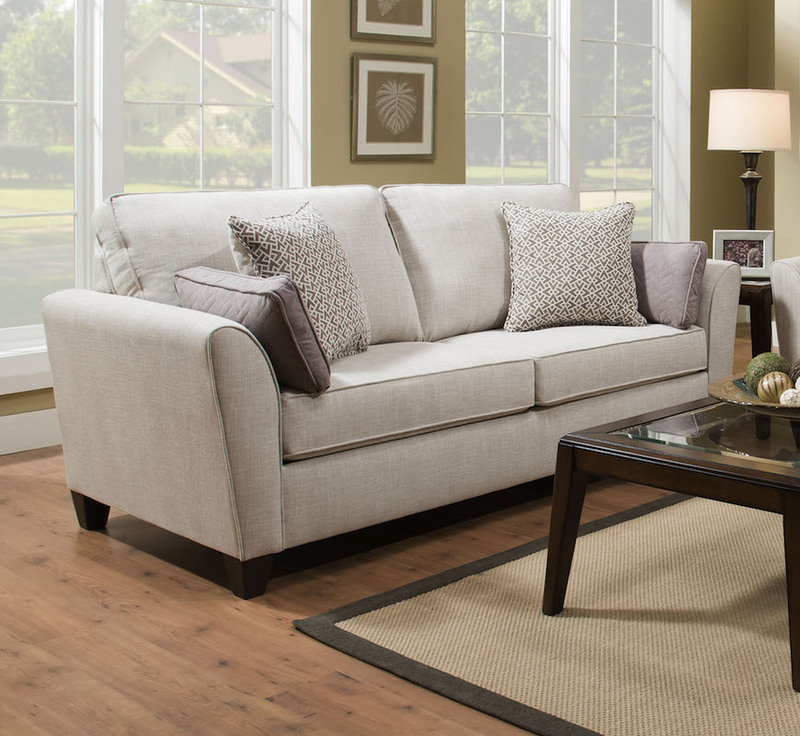 Enjoy the soft stone color accented by lilac colored pillows. The soft fabric is cozy and breathable. Cushions and padded backing provide ultra comfort.